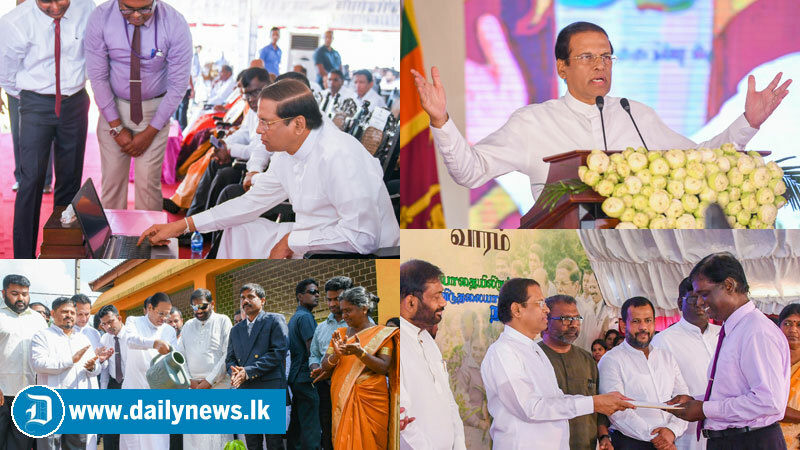 President Maithripala Sirisena launched the National Schools Drug Eradication Week during his visit to Mullaitivu today. Accordingly the National Week will be implemented from 21 to 28 this month in Schools Island wide. It will be launched under the patronage of President Maithripala Sirisena at Vidyananda Vidyalaya in Mullaitivu. Meanwhile, President Maithripala Sirisena will also commence a tree planting program “Earth Watchman” at University of Jaffna in Kilinochchi.